The ‘BlueLine-IP’ Hardwired System provides a modern Ethernet based nurse call solution for low, high and dementia care facilities of all sizes. The BlueLine Long Range ISM wireless communication system utilises the most recent and advanced RF technology resulting in an extremely reliable and effective nurse call or emergency alerting system. Smart Caller's comprehensive accessory items range consists of only trialled and tested products and brands including our own "Safe Life" range. Click below for the safe Life website. The Winwatch software program provides a ‘single operating platform’ for the overall site monitoring requirements. 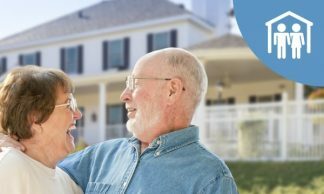 Smart Caller has designed and manufactured nurse call systems and medical alert systems to suit aged care applications since 1980. Today following the growing acceptance of IP (Internet Protocol) and 900Mhz wireless ISM (Industrial, Scientific and Medical) wireless technologies we are able to offer the most flexible, affordable and reliable ‘Ageing-in-Place’ solutions. The highly developed selective filtering options within our (Winwatch) nurse call system software program will automatically provide management with comprehensive reports. This facilitates the maintenance of ‘Resident Care-Plans’ whilst also assisting staff to function effectively and efficiently. Management’s ‘duty of care’ obligations can also be seen to have been observed via detailed staff performance reports. Reliability has always been at the forefront of any Smart Caller nurse call system. Being a life saving system there is little tolerance for down time or costly service calls. Now using ‘Plug and Play’ techniques our nurse call systems are even more reliable, easy to install and maintain and are particularly suited to remotely located and overseas installations. Retirement Villages have for many years installed Smart-Caller PERS (Personal Emergency Response Systems). 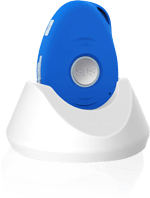 Designed and manufactured in Australia, the Blue-Phone and Smart-Dialler medical alarm devices have been specifically designed for use within retirement village and domestic independent Living Units (ILU). Our new portable PERS 3G pendant with docking station now offers an alternative or supplementary ‘Go Anywhere’ PERS solution. Advanced software reporting software "Winwatch"
For the safe Life Pendant or home care products purchase on line at our sister company Safe Life.